Sleep Number P-5 VS. C-4: Which One Is Right For You? Home » Sleep Number P-5 VS. C-4: Which One Is Right For You? With so many Sleep Number beds to choose from, it can be hard to know which one is best for you. We’ve picked two popular models: the P-5 from the Performance Series and the C-4 from the Classic Series, and put them head to head to help you decide which mattress might be right for you. After speaking with Sleep Number Customer Service representatives, I learned about a few extra details and clarifications that may help you decide between a P-5 or a C-4 mattress. 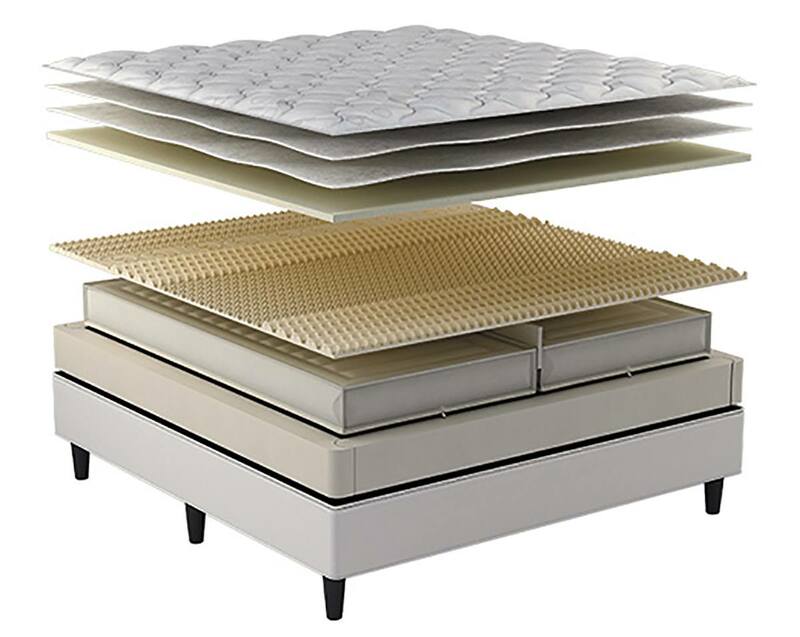 Mattress Top: Customer service representatives told me that the C-4 has a soft knit mattress top, while the P-5 cover is a more luxurious, pillowtop style. Comfort Foam Layer: Customer service representatives told me that the C-4 has a 1.5″ foam comfort layer but the P-5 has a 2″ foam layer of their proprietary PlushFit foam which is a bit denser and supportive. Popularity: The P-5 model is Sleep Number’s most popular bed. The salesperson I spoke to at a sleep number store said it had a good amount of balance between cushion and natural firmness from the air chambers. 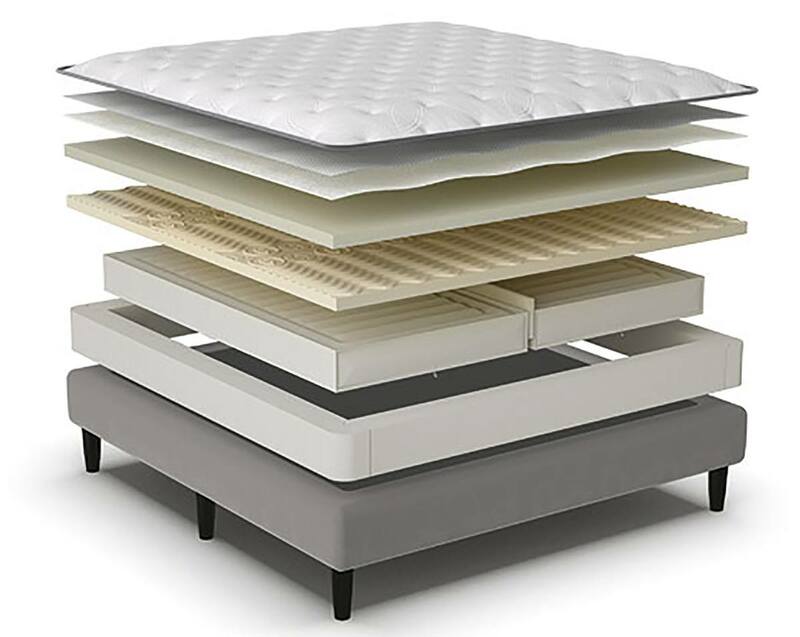 You Want a Balanced Bed: The P-5 is popular because customers feel it is the right balance of firmness and cushion. You get 2” of PlushFit foam in the P-5, which is more dense and supportive than the foam used in the C-4. You Like A Mattress With A Pillowtop: The P-5 comes with a more luxurious European-style pillowtop mattress, while the C-4 offers a soft – but flatter – mattress top. You Like A Firmer Bed: Between the two mattresses, the C-4 features less cushioning and a less dense comfort layer. With less supportive material between the air chamber(s) and the mattress top, the C-4 will be a naturally firmer bed all around. You’re On A Budget But Want Extras: There is a $500 difference between the C-4 and the P-5. While there are many reasons to upgrade to the P-5, saving on the mattress price would allow you to spend money on options like the popular SleepIQ® technology or FlexFit™ Adjustable Bases. I consider myself to a be a budget-conscious person and while I would naturally lean towards the more affordable mattress (C-4), I think the P-5 may just be worth the extra money for the enhanced construction and details it offers. What tips the scales to the P-5 for me is that it’s a best seller. If it’s known for being a good balance of firmness and cushion, and so many people love it, then I think I would, too.